Every achievement has to start with desire. It is very simple, if you do not have a strong desire, you will not bother to invest any effort and time in achieving any goal. You will simply not care enough. If you examine your life, and think about the things you have achieved, you will see that desire was behind everything you did. Even the smallest and most minor goal requires desire to make it come true. Every action you make requires desire, from getting up from your chair, baking a cake, reading a book, learning a new skill, or building a business. Do you want to become a successful athlete and win medals? Do you want to become a well-known actor or singer? Do you want to become a prime minister or a president? Do you want to be a successful writer? Do you want to be a good husband or a good wife, a good father or a good mother, or a good friend? Do you want to speak fluently a foreign language? If you do, you need to have strong desire. Why the Starting Point of All Achievement Is Desire? It is very simple. Desire gives you the motivation, driving power, ambition and energy to pursue any goal, and not to give up or give in when you meet obstacles, opposition or difficulties. Desire keeps you on track no matter what. A weak desire, wishing, and daydreaming, are not strong enough to carry you forward, day after day, until you achieve your desire. Desire is like a powerhouse that produces electricity. Without this powerhouse, you will probably not achieve much. When there is strong desire, you see the goal in front of you, and direct your attention and effort toward it. Napoleon Hill knew what he was talking about, when he said, “The starting point of al achievement is desire”. He explored the topic of success and met successful people in his day. His book, “Think and Grow Rich”, is still very popular, many years after it has been written. When talking about success and achievement, people often think of money, possessions and status. True, these are the signs of success and achievement, but success and achievement are also many other things. There is success and achievement in the fields of education, art, sports, writing, self-improvement, meditation and many other areas. 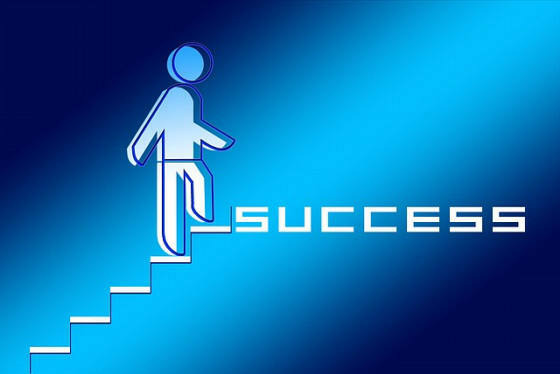 You can learn more about the various meanings of success and achievement by reading my article “Success Definition – What Are the Definitions of Success”. It was desire that prompted Bill Gates, Steve Jobs, Warren Buffet, Mark Zuckerberg and many others to achieve big success. It was desire that made Madonna and Oprah so successful. Not every person aspires to reach so high and is willing to invest time in such projects. Most people do not possess a huge desire and tremendous ambition to reach so high. However, every dream, every goal, no matter how small it is, needs the power of desire to fuel it. Your desire might be to excel at your job, get a promotion, make more money, be popular within the circle of your friends, get a new car, or buy a new house. These are the “normal” desires of most people, and they too, must have desire as their starting point. It is not enough to be inspired by something you read or something you saw. The starting point of achievement is desire, but it has to be sustained and continued, despite any obstacles on your way. It must be strong enough to carry you through to success. Read more of Napoleon Hill quotes on success. If you wish to strengthen the power of desire and learn how to channel and direct it towards the achievement of your goals, I would recommend that you read my book, Visualize and Achieve Your Dreams.